When I was a kid, my parents had store credit cards for nearly everyplace they shopped. They had a Sears card, a Meyer and Frank's card, a Fred Meyer's card, a Chevron card and many many others. They even had a special wallet just to hold all the cards. Today, I have a collection of charge cards too. 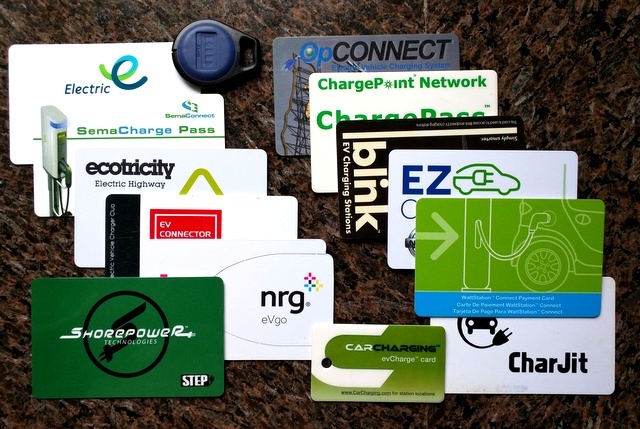 Mine, however, are not credit cards; they are EV charging network membership cards. This is a problem. 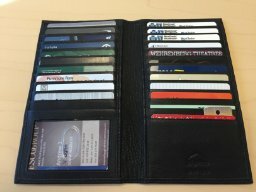 Today, people don't carry a collection of store cards. Carrying a single credit card that can be used anywhere is much more convenient. Likewise, it would be nice to have a single card that could work at any EV charging station. Why don't the charging stations just take Visa and/or Master Card? Charging transactions are generally small amounts. There are fees that the credit card companies charge with every transaction. These fess can consume most of the profit from a small transaction. This is why you might see signs like "$10 minimum for credit card purchases" at many small businesses. This why most of the EV charging networks have membership cards. They charge a $10 or $20 amount to join and give you this amount of credit. When you have used this credit, they make another $10 or $20 credit card transaction. This way the small fees for charging up come out of your pre-paid account and the network only makes $10+ credit card transactions. This makes the transaction fees a much smaller percentage of the transaction cost. If credit cards are not the way go, then what is? 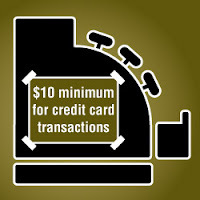 One Card - Most of us have a debit/ATM card and they work at ATMs from nearly any bank (although fees may apply). These ATMs are on a common network such as Star or Plus. This allows them to record the transaction at your bank and give you cash from the ATM you are standing in front of, even if it is not from your bank. Smartphones - Apps such as PlugShare are offering payment services. Let's look at each option. I have a large collection of charging membership cards. Below is a picture of them. There are 14 of them. Some are startups that installed one or two stations, some are for local networks, others are for my workplace, and a few were just to see if I could get them. As my employer tried different strategies for workplace charging (starting in 2008), they changed charging station providers several times. This started my collection membership cards. Handing someone a stack of cards like this if they were to rent an EV, is not a workable solution. Even 3 or 4 cards would complicate charging. The good(?) news is that consolidation is occurring in this area. As with many industries, this may settle on a duopoly or triopoly. Then again, local electrical utilities are just starting to explore this space, so convergence on just a few providers may take some time. 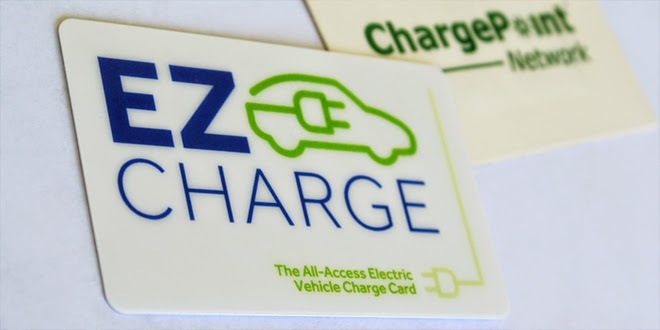 As part of a class-action lawsuit, Nissan recently sent out EZ Charge cards to many 2011 and 2012 Leaf owners in the US. These cards have 90 days of free use in any of four networks listed below. Additionally, in select cities, Nissan is giving EZ Charge cards to new Leaf buyers with 2 years of free charging. This is a smart move. I have activated my account and signed up with all of them (other than Blink, they are having technical difficulties). I am not particularly interested in the 90 free days since I don't charge outside of home or work often and the EVSE provider that my employer is currently using is not on the list. But the part that I am excited about, is that this is one step closer to having a single card that can operate on any of the networks. After the 90 day free period is over, I'll be able to use this card (paying member rates) at any of these networks. 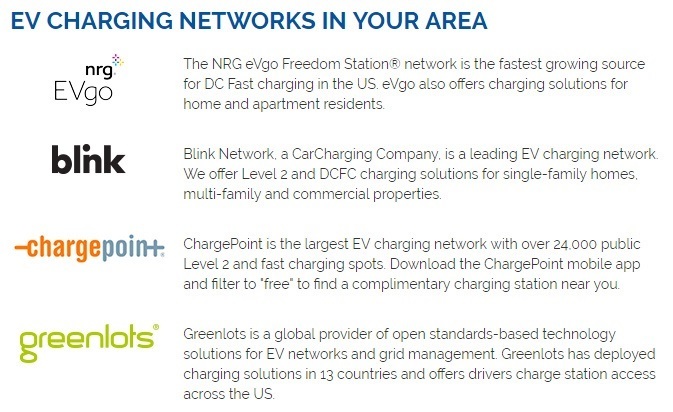 Blink and ChargePoint make up the bulk of the public infrastructure around here and now they are on one card. The smartphone ecosystem thrives on in-app purchases. Rolling in-app purchases into regular monthly bills and other techniques have been used to solve the micro-payment problem. PlugShare, Greenlots, GE Wattstation, and others allow you to pay for charging sessions with your smartphone. Apple Pay and Android Pay are growing with merchants. These seems like they will be the eventual winners in the smartphone payment arena. If they were to add a small pre-paid buffer, like the charging networks have, they could further reduce the credit card transaction fees. It would be ironic, however, if your phone had a dead phone battery and this prevented you from charging up your car's dead battery. The jungle of charging network providers has been thick. Two forces, consolidation and ATM-style network sharing, are allowing you to carry fewer cards. Smartphone payments could eliminate the need for membership cards altogether. Local electric utilities are just starting to enter this space and could have a big impact, especially on billing if they can tie it into your monthly home electric bill. With all of these factors, that pile of membership cards that we EV drivers are carrying today will be something to display in a future museum of transportation because they will be history.